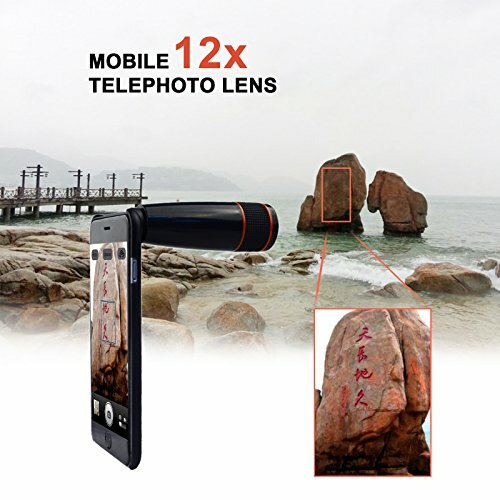 Easy to Carry and Install. 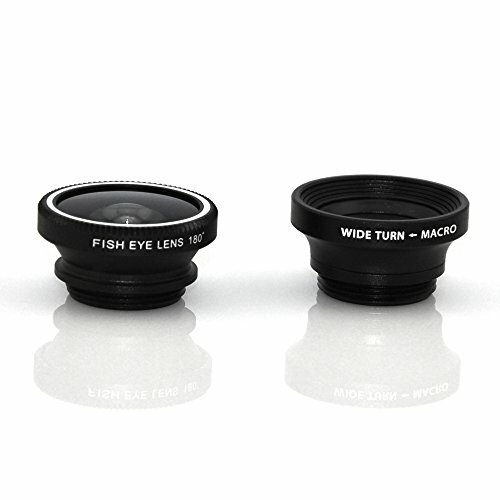 PLEASE NOTE: The wide angle lens is paired with the macro lens – gently unscrew the wide angle to reveal the macro power beneath. 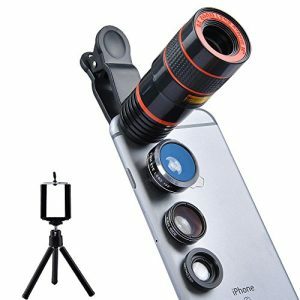 It is also used for bird watching, watching wildlife or scenery, watching games, football and basketball and so on.Overall,it is similar to monocular telescope. 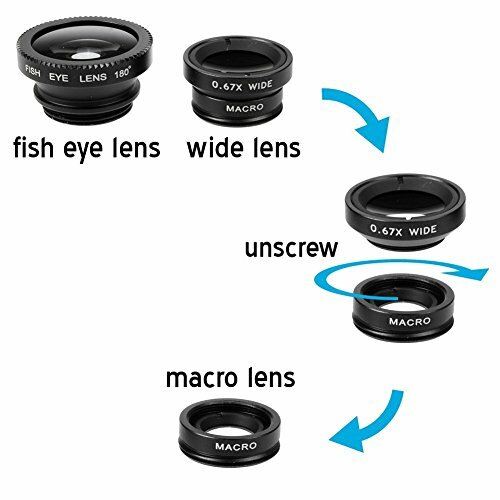 Macro Lens: Incredible focal distance of 0.4-0.6inch for some amazing 10X macro shots to see the more details of the tiny objects. 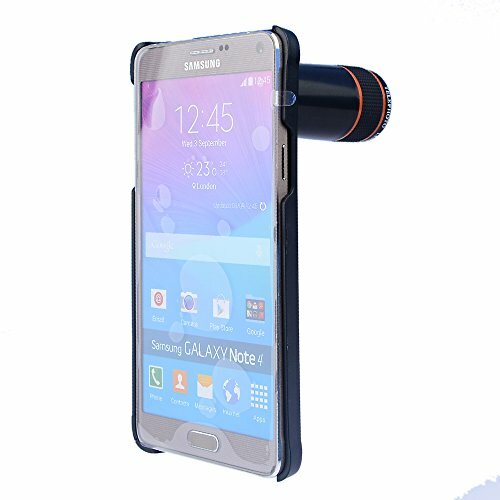 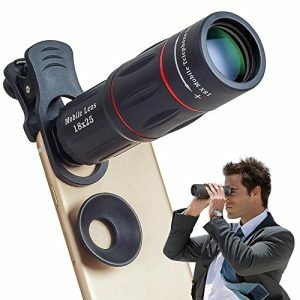 ❤ UPGRADED TELESCOPE LENS:18X zoom lens with a specially designed eyecup which providing more fun and flexibility. 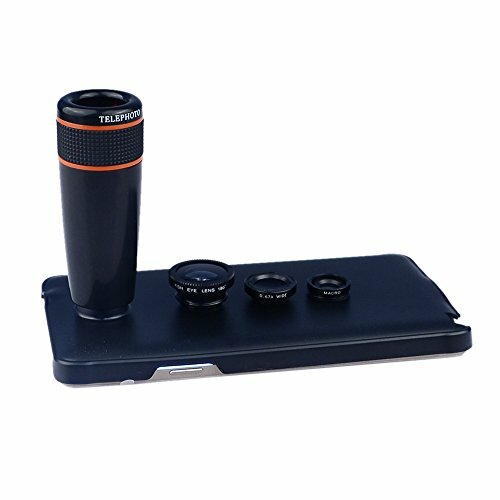 The portable lens that you can take it anywhere. 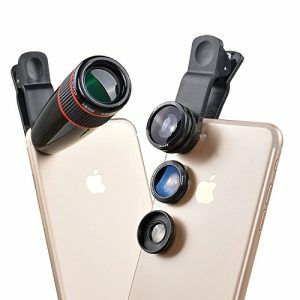 And the rubber eyecup allows more comfortable viewing in travel, concert, sightseeing, seaside, ball game,World Cup and so on. 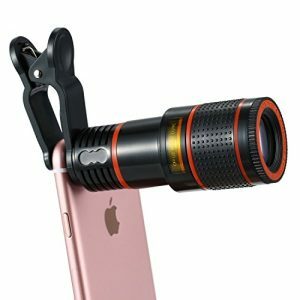 It had less stray light and more clearer image. 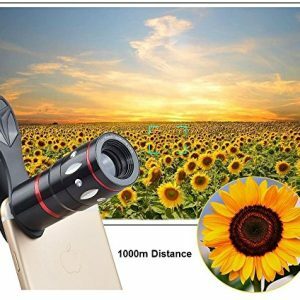 ❤ LONG DISTANCE SHOOT:Overcome the shortage of your phone camera that can only take pictures of close distance.The 18x telephoto lens let vision clear representation of your eyes omnibearing shooting experience! 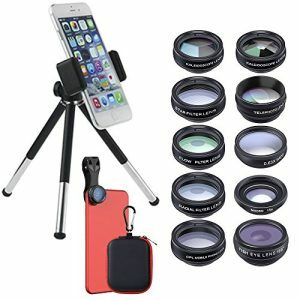 Make your holiday life more amazing and fully fascinating memory. ❤ ENVIRONMENTALLY FRIENDLY MATERIAL METAL+ RUBBER:High Quality and HD Telephoto Lens. 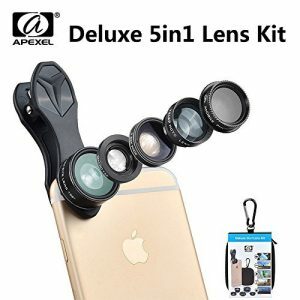 The lens is made of 7 layers professional-grade optical glass to ensure the highest quality photos.The telephoto Lens can turn your phone into a SLR camera.